With labor costs on average taking up 2/3 of a budget, a little sweat equity is the most obvious place to save money. Proper installation is critical to a successful and safe build and a modicum of building experience is a plus, but our many resources can assist you if you opt to build it yourself. 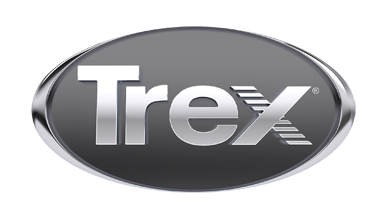 Be sure to consult our installation guides, videos and Trex customer service reps via email, chat and telephone so you feel confident before digging that first post hole. Sure, the beautiful streaking of our Transcend tropical boards catches attention, but there are other ways to build an impressive outdoor space without compromise. Trex Select® decking features our hallmark high-performance shell at a more affordable price. With Select, you get the same fade and stain resistance, easy clean-up and beauty that come with our premium options. If you have a wood deck or an early-generation composite and your old substructure is still safe and sound, there’s no need to start from scratch. Our wood-composite boards make it easy to simply resurface your old foundation, potentially saving you thousands of dollars. Keep it simple and you’ll save with our inexpensive deck ideas. Square and rectangular designs that take advantage of our 12-, 16- and 20-foot board lengths won’t require any special construction skills on your part, and require less time to complete if you hire a contractor to do the work. Our rectangular deck design plan is a perfectly simple layout that delivers impact.